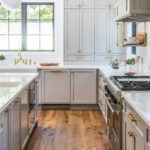 When it comes to kitchen counters, I’m all about simplicity (shocker, right?). I practice the theory: Less is more. 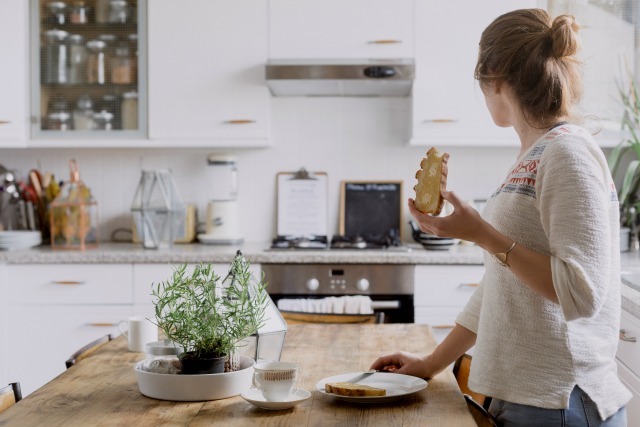 Clutter gives me a bit of anxiety since I prefer to have open spaces, especially in the kitchen. One quick look at my kitchen counters and you’ll notice that I prefer only a few items to keep on display, mostly for utility reasons. That is it. If something else finds it ways onto our counters, I quickly find a new space for that item. Just ask my husband. I’m always moving stuff off the counter and it can drive him nuts. But, having a cluttered counter drives me nuts. So, I guess we balance each other out. Plus, we have a place for everything in our home. 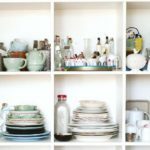 I know it might sound like I’m a bit on the harsh and protective side when it comes to counter space in our home. But, as I said, items in our home have their designated areas. That also applies to our counters. If I need to have something on our counters, then it will have its designated space. 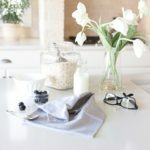 In order to keep some order, cleanliness, simplicity, and flow, I love to be a bit on the matchy matchy side when it comes to counter decor, organizers, and space savers. When shopping for items to use on your kitchen counters, think along the lines of trying to find canisters, plates, jars, cake stands, etc. that follow the same look at feel. 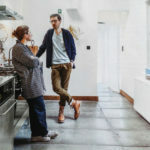 That way, you lessen the chance of having a cluttered appearance in your kitchen. 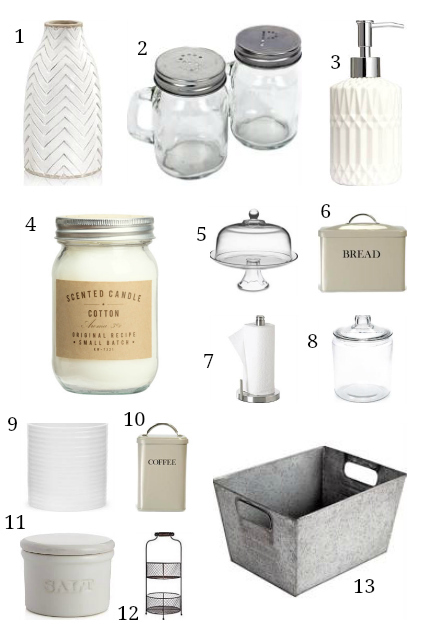 For our counters in our home, I like to stick with glass, galvanized metal, and white ceramic. 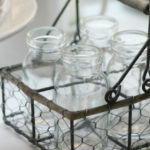 We have glass jars and cake stands, a galvanized metal catchall, and a white ceramic soap dispenser and sponge holder. These colors and textures match our white cabinets, black and white granite counter tops, and stainless steel appliances. These items are simple, chic, and muted. They won’t draw attention all while creating order in a kitchen. Plus, by sticking to similar colors and textures, you can create a great flow that will be aesthetically pleasing. 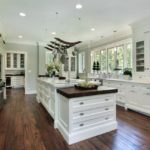 What is your favorite kitchen counter must-have? What Food Trends Will We See in 2016?